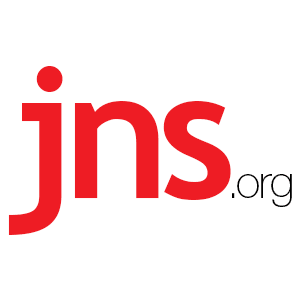 The Top 10 Senate Races Pro-Israel Voters Should be Eying - Breaking Israel News | Latest News. Biblical Perspective. While not officially on the ballot in November, the upcoming midterm elections in the U.S. Senate and House of Representatives are widely seen as a referendum on U.S. President Donald Trump. Among the many issues that Trump has engaged in during his first two years in office has been the Israeli-Palestinian conflict. Supporters of the president have praised him for taking bold steps in support of Israel, such as moving the U.S. embassy from Tel Aviv to Jerusalem, ending involvement in the 2015 Iran nuclear deal, cutting aid to UNRWA and the Palestinians, and standing up for Israel at the United Nations in the form of U.S. Ambassador Nikki Haley, who recently announced her decision to leave the post at year’s end. Yet detractors have argued that the pendulum has swung too much in Israel’s direction, which they say damages America’s credibility and puts prospects for Israeli-Palestinian peace further away. Amid this debate, several key seats in the U.S. Senate are up for re-election in several battleground states. As Congress that has the final say on all of Trump’s executive and judicial nominations, the stakes are extremely high. Currently, the Republicans have a razor-thin majority in the Senate, 51 to 49 seats, and one or two races in either direction could mean control of the Senate for final two years of the president’s term. Considering that the Israel—and increasingly, the rest of the Middle East—has become an increasingly partisan issue, GOP control of the Senate could prove to be crucial for Trump to continue his policies in favor of Israel, at the same time as some in the Democratic Party have been leaning away from traditional support of the Jewish state. Below are the top 10 Senate races to watch for the Jewish and pro-Israel community. Summary: In a race to replace the retiring Jeff Flake, a Trump critic, Republican Rep. Martha McSally, leads Democratic Rep. Krysten Sinema by 0.3 percentage points in the RealClear Politics average. 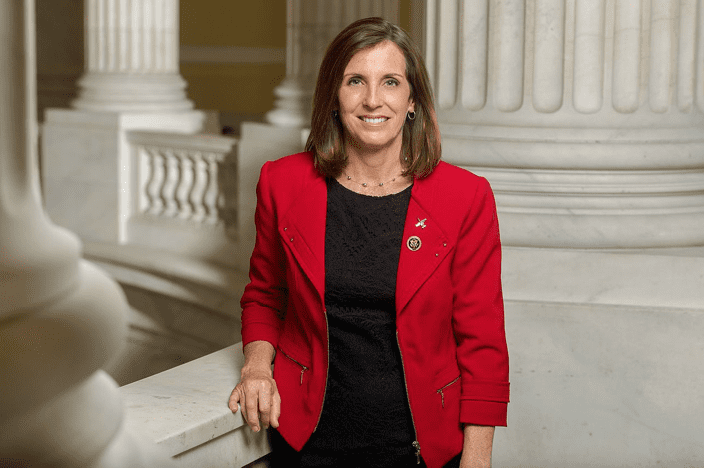 Arizona Republican congresswoman Martha McSally, who is running for her state’s senate seat. Credit: Wikimedia Commons. Meanwhile, Sinema, an Iron Dome missile-defense supporter, was one of 25 Democrats to oppose the Iran deal. But she flipped and opposed Trump’s decision to withdraw the United States from it. Additionally, Sinema advocated for radical causes such as a Department of Peace, “an effort championed on the federal level for many years by radical, anti-Israel politicians such as Dennis Kucinich, a former Ohio congressman known for outlandish proposals rejected by the plurality of federal lawmakers,” according to The Washington Free Beacon. Funding: Sinema has received $5,400 from Jewish philanthropist, political activist and Democratic Party mega-donor George Soros and $19,250 from NORPAC. Summary: Incumbent Democrat Bill Nelson is facing a tight general re-election battle against Gov. Rick Scott, who is trailing his opponent by just 2.4 percentage points in the RealClear Politics average. 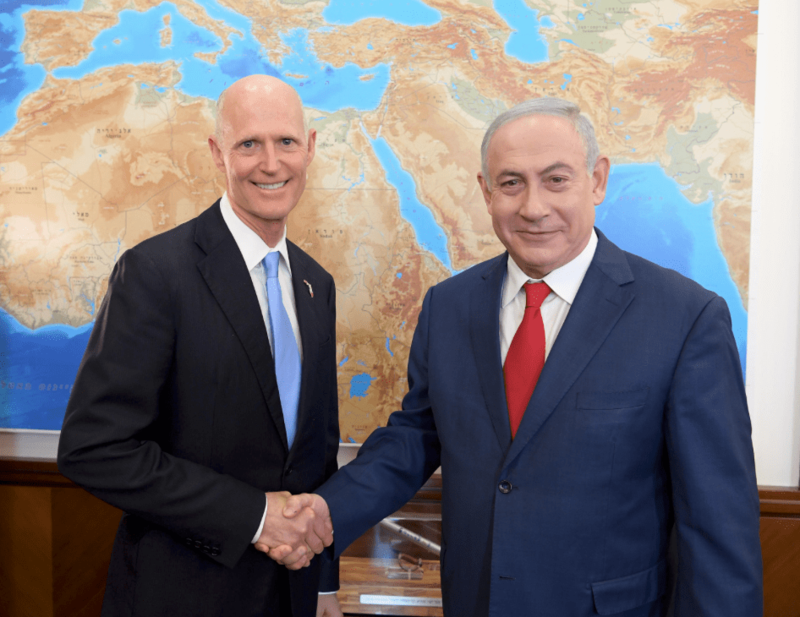 As governor, Scott signed an anti-BDS bill into law in 2016, which prohibits the state from investing in or doing business with companies that boycott Israel. However, Nelson was one of five Democrats running in states that Trump won in 2016 to vote for Iran hawk Mike Pompeo’s confirmation as Secretary of State. He also co-sponsored the Anti-Terrorism Clarification Act, which Trump signed into law last week. Funding: Although Scott shied away from answering in June whether his campaign has accepted contributions from Adelson, his campaign has received at least $2,700 from the casino magnate, in addition to $5,000 from the RJC. Meanwhile, Nelson has received at least $5,400 from Soros and $19,564 from NORPAC. Summary: Incumbent Democrat Joe Donnelly leads Republican businessman Mike Braun by only four points in the RealClear Politics average. Along with Sen. Deb Fischer (R-Neb. ), Donnelly inserted a provision into a defense bill last year that required increased U.S. oversight of the Arrow 3 antimissile system to Israel. The provision was removed. Moreover, Donnelly supported the Iran deal, and said he was “concerned” about the U.S. withdrawal from it. Braun has criticizedDonnelly’s stance. Funding: Donnelly has received at least $2,500 from Soros. Summary: Republican Attorney General Josh Hawley is up by just 0.5 percentage points over incumbent Democrat Claire McCaskill in the RealClear Politics average. Democratic Missouri Senator Claire McCaskill Addresses Washington University in 2015. Credit: Claire McCaskill’s office via Flickr. McCaskill supported the Iran deal and opposed the U.S. withdrawal from it. 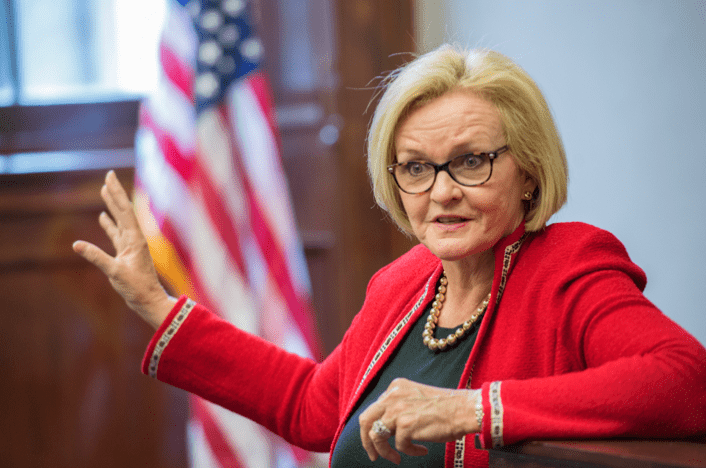 Hawley slammed McCaskill and accused her of “standing with the mullahs,” according to an email blast from his campaign. She has also withheld her support for the Combating BDS Act of 2017, which “contains problematic language that conflates Israel and the territories under its control,” according to J Street PAC, which endorsed her. Meanwhile, Hawley applauded the president for relocating the U.S. embassy in Israel from Tel Aviv to Jerusalem. Funding: Hawley received $5,000 from the Republican Jewish Coalition. McCaskill has received at least $24,300 from Soros and $98,700 from NORPAC. Summary: Dean Heller, the Republican incumbent, is facing a tough fight as the only Republican up for re-election in a state Hillary Clinton won in 2016. He is leading Rep. Jacky Rosen by 1.7 percentage points in the RealClear Politics average. Since elected in 2016, Rosen has touted her record on Israel as having sponsored the Defend Israel Act and the Israel Anti-Boycott Act. “The agreement, which handed Tehran billions of dollars to help bolster its military and spread terror around the world, represented a volcano waiting to erupt,” he added. Funding: Soros has given Rosen at least $5,400 this cycle, while Adelson has contributed an identical amount to Heller. Heller has also received $5,000 from RJC. Summary: What should be an easy re-election campaign for one of the most pro-Israel Democratic senators has been anything but, due to being tried on federal corruption charges (where there was a mistrial, and the DOJ declined to refile the charges). He leads Republican nominee Bob Hugin by just 7.2 percentage points in the RealClear Politics average. Menendez was one of the most outspoken Democratic senators against the Iran deal, although he supported the embassy move, which was also applauded by Hugin. 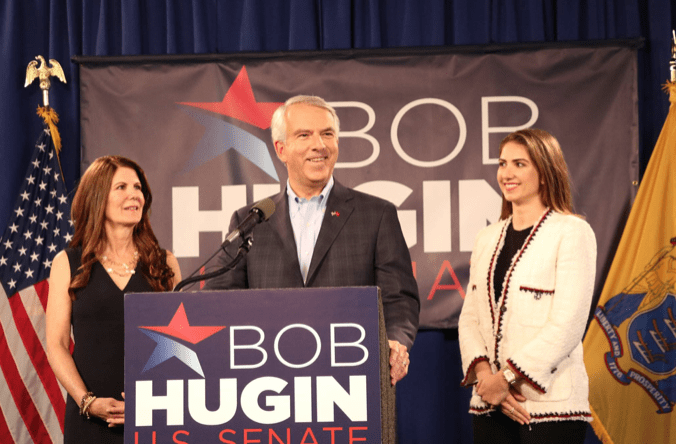 Republican candidate for the U.S. Senate from New Jersey Bob Hugin speaks alongside his wife and daughter. Credit: Bob Hugin for Senate Facebook page. However, in order to mollify the left amid the re-election cycle, Menendez opposed Trump’s decision to withdraw America from the deal. Funding: Menendez has received more than $500,000 from NORPAC. Hugin has received $5,000 from the RJC, spokesperson Neil Strauss confirmed to JNS. Summary: Daylight has been created between incumbent Democrat Bob Casey and Republican congressman Lou Barletta, as the former leads the latter by 16 percentage points in the RealClear Politics average. Despite controversial ties to white nationalism, Barletta has fully supported Trump’s pro-Israel agenda, even being one of dozens of members of Congress to call on the State Department to allow “Jerusalem, Israel” to appear on U.S. passports. Funding: NORPAC has contributed $51,640 to Casey, who has also received $10,800 from Soros. Barletta has gotten just $250 from RJC. Summary: In a race to replace the retiring Trump critic Bob Corker, who exerted influence on issues like Iran as chairman of the Foreign Relations Committee, Rep. Marsha Blackburn has just a 6.5 percentage lead over former Democratic Gov. Phil Bredesen in the RealClear Politics average. Blackburn strongly supported Trump’s decision to withdraw America from the Iran deal, while Bredesen has yet to issue any statement on the matter. Funding: Bredesen has received at least $5,400 from Soros, while Blackburn has gotten that same amount from Adelson, plus $5,000 from the RJC. Jewish Population: 139,505 (0.5 percent of state population). 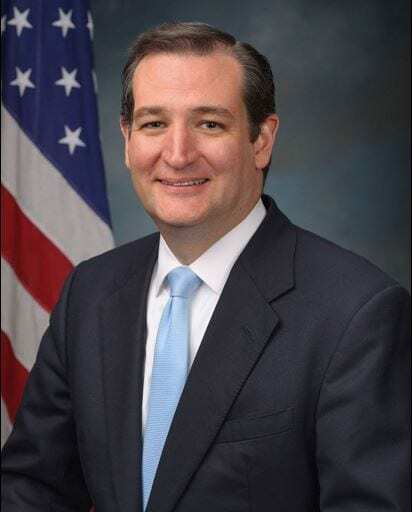 Summary: Surprisingly, what should be smooth sailing for incumbent Republican Ted Cruz—one of the most outspoken pro-Israel members of Congress, opposing the 2015 Iran nuclear deal and vouching for the now-enacted Taylor Force Act to eliminate most U.S. assistance to the Palestinian Authority—has been anything but, due to recent polling. Cruz is ahead by just 7 percentage points, according to the RealClear Politics average. Additionally, the Senate passed a bipartisan bill last week co-sponsored by Cruz that would sanction members of terrorist groups like Hamas who use civilians as human shields. “What we care about is that extremists like him—elected officials who undermined the Iran deal, demonize Palestinians to score political points and believe the only way to be ‘pro-Israel’ is to support every policy of the [Israeli Prime Minister Benjamin] Netanyahu government—hold power in Washington right now,” stated J Street in a fundraising email. Funding: As of 2017, Cruz has received at least $2,700—the maximum contribution that a donor can give at a time—from Adelson. He has also received $5,000 from the RJC. He received $64,050 from the nonpartisan pro-Israel organization NORPAC. O’Rourke has received $2,700 from Soros, who has surprisingly also gave $2,500 to Cruz this election cycle. More importantly, O’Rourke has received $139,734 from J Street’s political-action committee, which has also endorsed him. Quote: “O’Rourke was one of only a handful of Democratic members of the House to oppose Iron Dome, and he has been a staunch supporter of the disastrous Iran Deal,” veteran Texas-based Republican strategist Matt Mackowiak told JNS. “There may be no more anti-Israel Democrat running for Senate than Beto O’Rourke,” said Mackowiak. “Contrast that with Senator Ted Cruz, who has been widely seen as the strongest pro-Israel leader in the Senate,” added Mackowiak. Jewish Population: 2,335 (0.1 percent of state population). Summary: Despite a small Jewish population, the state features Republican Attorney General Patrick Morrisey against incumbent Democrat Joe Manchin, who has repeatedly been unafraid to break with his party, such as being against the Iran deal, though he announced his stance when there was already enough party support. He also supported U.S. withdrawal from the agreement. Additionally, he was one of only two Democrats to vote in favor of David Friedman’s confirmation as U.S. Ambassador to Israel. He leads Morrissey by 9.4 percentage points in the RealClear Politics average. Funding: Morrisey has received $5,000 from the RJC. NORPAC has contributed $42,050 to Manchin, who has also gotten at least $2,500 from Soros.